The espectacle and interest of this Amontillado Old El Maestro Sierra is multiplied when, to the double ageing process of biological and oxidative ageing, we add the long passing of time. In the case of the Amontillado 1830, the oxidative ageing reaches up to 30 years. During that long period the wine has plenty of time to mature and almost to think. We are talking here of extraordinarily complex wines. This time helps deepen in the intensity of its sensory aspects; aromatic, gustatory and even visual. 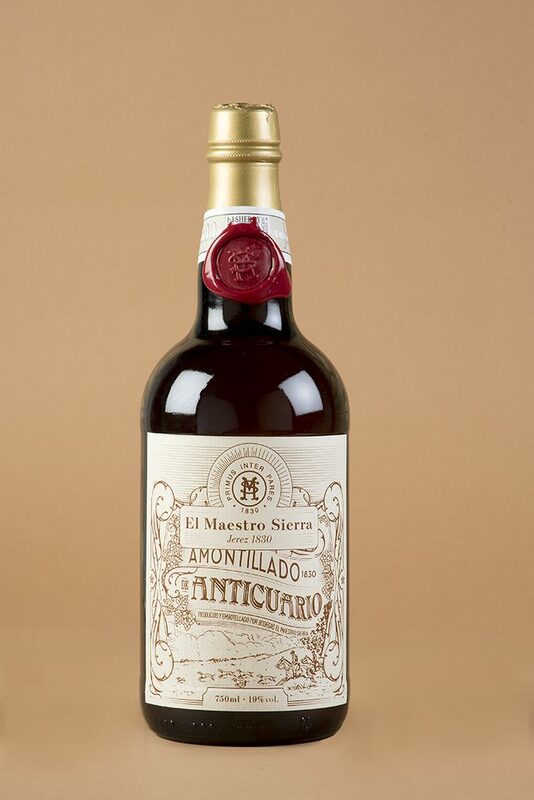 This Amontillado is preserved in the original butts made by the cooper and founder of the bodega, José Antonio Sierra, at the beginning of the XIX century. These are original butts, fully functional and made with exquisite artisan skills. They have a capacity of 2000 litres, larger than the usual 500 litres. This gives the wine inside a particularly unusual oxidation by having a special balance between the amount of oxygen inside the barrels and the surface of the wood. The result is an Amontillado that is absolutely unique. To the senses: unique, exquisite, dry and impressive. For El Maestro, it goes with… the birth of a son.